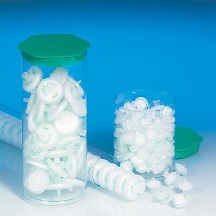 Acrodisc PSF syringe filters are Zymark and SOTAX Automation Certified to assure smooth operation and worry-free performance 24 hours a day in automated workstations. Reduces clogging. 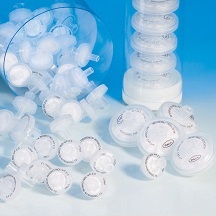 Use alone or in series with final membrane filter to increase flow rate and throughput. 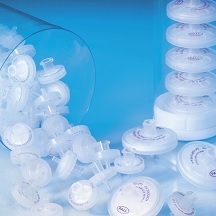 Ensures broad chemical compatibility with polypropylene housing. Superior flow rates and higher throughputs than competitive devices. Low protein binding to minimize sample loss. 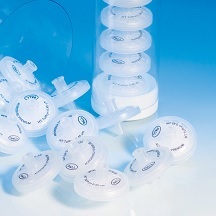 Acrodisc PSF syringe filters feature unique built-in prefilter for increased throughput of difficult-to-filter liquids. 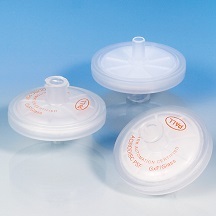 Reliable filter for dilute biological fluids. 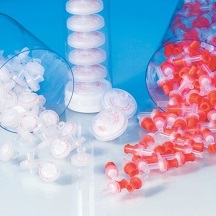 Available non-sterile for analytical preparation of biologicals. Meets aqueous sample filtration needs. and worry-free performance 24 hours a day in automated workstations. High flow rates with optimized Supor® polyethersulfone membrane. Conforms to quality release criteria for ion chromatography (IC) extractables. Convenient sizes for small sample volumes. Ideal for filtration of gas and/or organic solvents. Prevents spurious peaks on chromatograms for accurate experimental results. HPLC certified for low levels of UV-absorbing extractables. 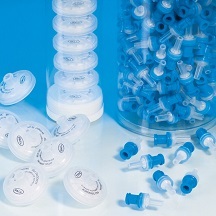 Prevents “air bubble” lock when filling sample vials with 13 mm minispike outlet. 4 mm device offers the lowest sample hold-up (< 10 μL) and is useful for samples up to 2 mL in volume. Excellent chemical compatibility with esters, bases, and alcohols. Saves time because no prewetting is required. 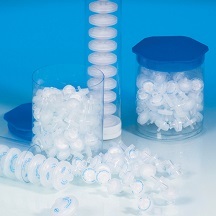 Easy filtration of particulate-laden samples with the glass fiber prefilter version. 13 mm device with minispike configuration offers low hold-up and easy filtration into autosampler vials. Useful for a wide range of applications, including aggressive and non-aggressive solvent-based mobile phase. Reduces experimental variables. HPLC certified for low levels of UV-absorbing extractables. Protects columns and instrumentation against particulate build up. 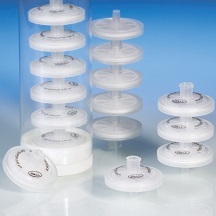 Avoid the expense and inconvenience of keeping a variety of filters on hand. Versatile filter for aqueous and aggressive organic solvent-based solutions. Protects columns and instrumentation from particulate buildup better than other filters. filter with extremely low levels of extractables. Reduce the need for retesting. 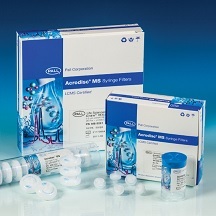 The Acrodisc MS syringe filters will not contribute extractables that will interfere with the ionization process. Protective packaging design saves money and prevents downtime due to accidental contamination. Packaged into separate tubes. The WWPTFE (water wettable polytetrafluoroethylene) membrane can be used with both organic and aqueous solvents. When coupled with a polyethylene housing, this filter offers excellent chemical resistance. Low protein binding gives accurate and confident quantitative results. No minimal protein adsorption. Protects your columns and instrument from particulate build-up, making your columns last longer and your LCMS perform more consistently.